Casumo Casino is out of this world and every player who joins the fun and exciting planet will receive a welcome package and access to hundreds of top online pokies. Also, each new customer becomes a cute Sumo when registering. Casumo Casino is unique in many ways. It was established in 2012 with the goal of providing a fun gaming experience and it does this with the help of white little sumo mascots and a different reward system. The site doesn’t force players to download apps before getting started and after the registration is complete, the first deposit will start the adventure with a welcome bonus of 200% up to €50 and 200 free spins. Players on this road will receive four more bonuses and an unlimited number of benefits by gaining experience and levelling up. Moving past the way the bonuses are allocated and we find titles from some of the biggest developers in the industry. NetEnt and Microgaming are the main software providers but Casumo Casino is also powered by Novomatic, Play'n GO, Quickspin and other companies that have impressive pokies in their portfolios. Australian players will benefit from the license from the Malta Gaming Authority, while the casino online is also licensed in the UK. Casumo Casino only accepts EUR and GBP and so the welcome bonus is in these currencies as well. Australian players can easily get used to the difference and enjoy more free money on deposits. It all begins with the first deposit bonus of 200% for a maximum offer of €50. This bonus also includes 200 free spins which will be released 20 a day for the following nine days. The second and third deposits will come with 50% bonuses of €150 and €200, respectively. 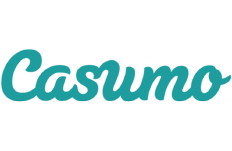 For the fourth and fifth deposits, Casumo is offering 25% bonuses up to €400 on each. The reward system is based on the Adventure where players can complete challenges to level up and unlock rewards. Free spins, free credits and extra bonuses are very common here. Some of the developers are restricted in certain countries but all of the ones we mentioned earlier are available in Australia. This means that there are more than 500 titles in the instant play collection and each of them can be started with one single click. Pokies will always be the majority and some of other sections are a bit lacking in options. From the main page, Casumo makes it clear that its games can be played on Mac, PC, mobile and tablet. While not exactly all of the gaming options are compatible with mobile devices, the majority will run perfectly on smartphones and tablets. The platform will maintain the services that make Casumo great so it will still be possible to level up and collect rewards, make deposits, cash out and contact the multilingual customer support team. It is this focus on making the mobile casino as good as the desktop one that makes Casumo a big hit in Australia. Mobile online gambling on Android and iOS is a must nowadays for an operator to be taken seriously and when there are hundreds of pokies designed for smartphones, the excitement level goes through the roof. The mobile casino even keeps the same Game Browser feature that makes it always easy to navigate through the big collection of games and pick off from the same point at any time. Millions of Euros will be featured in the category for progressive jackpots so that users of mobile devices can still experience the thrill of betting when the top prize has seven figures. Crossplay: Yes, you can continue on mobile from where you left off on the desktop computer. 200% up to €50 and 200 free spins will come with the first deposit from the mobile cashier if you just registered an account. This matches the overall welcome package and so it includes four other bonuses just to get things going. Australian players who want to play for fun or for real money at Casumo Mobile Casino will be happy to know that it is easy to get started. Basically, going to the website is enough to access the games and the registration process only takes a couple of minutes. Use the money to enjoy your time and win! Quick Tip: There is no need to rush into things when you can practice without even having an account on the mobile site. Try out a few games to see how amazing they really are and how the controls work. Another problem is that Australian Dollars are not accepted and players can only choose between Euros and GB Pounds. Casumo Casino is big in Australia but it is focused more on European markets, with the northern countries like Sweden and Norway getting more attention than other locations. The languages reflect this by offering Norwegian, Swedish, Finnish and German as alternatives to English. The site has a very good FAQ section that nicely tackles common issues. The support team can be reached by email and by live chat. The operator has recently added Reel Races to the platform to make for a more exciting time. These are tournaments that run every 30 minutes throughout the entire day and award hundreds of prizes, including €1,000 in cash every day at 7:00 pm. Another thing to point out is that Casumo has a full live casino powered by NetEnt and it can be entered by clicking on the live image in the category for table games. This requires players to be signed in and will present multiple tables for the casino classics. All in all, Casumo Casino is definitely different. While most online casinos nowadays only have games from one or two developers, this operator brings ten together for Australian players to enjoy. And speaking of things Casumo does differently, the Adventure system is also one of a kind. Players complete challenges on the games and earn experience to level up and receive all sorts of sweet rewards. What we didn’t like was the banking system and the fact that it only accepts two currencies, while the payment methods are very limited as well. If you don’t mind this, you will most likely have a great time at Casumo Casino and you can experience mobile gaming on a whole new level here. Play at Casumo Casino with your €50 Bonus Now!